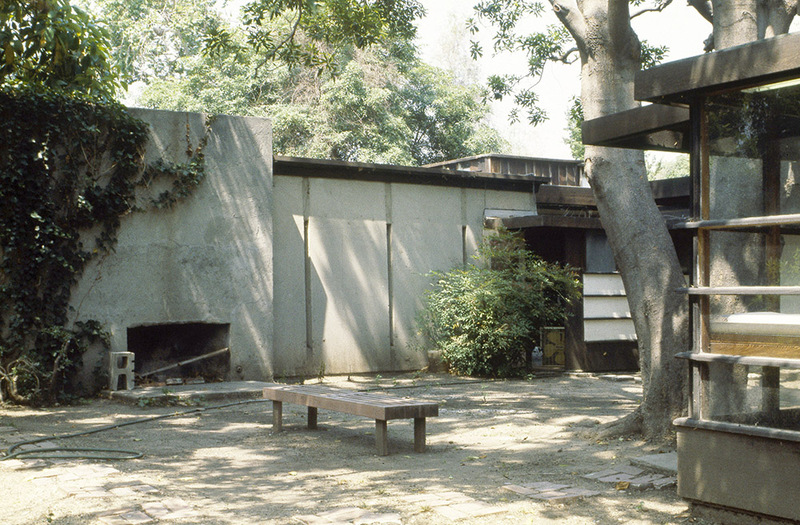 Reyner Banham’s Photographs of the Schindler House. The AA Photo Library has a collection of some 6,000 slides taken by Reyner Banham, and given by Mary Banham in 1996. Banham was one of the greatest historians and critics working in architecture in the mid twentieth century, and developed a great influence through his publication of a series of books: his photography provides an essential counterpart to his far better-known writing and the collection contains much material that hasn’t yet seen the light of day. Banham had completely changed the way that modern architecture was understood through his first book Theory and Design in the First Machine Age in 1960, and among many others wrote a book on megastructures, one on the history of building services, another on grain elevators and one of his most widely read, a book on Los Angeles published in 1971. He had started visiting the city in the sixties and, as someone who had lived through drab wartime and post war Britain, was astounded by what he saw. A completely new form for a city as well as very different kind of architecture could be seen there and he celebrated those differences: the freeways, the surf culture, the pop architecture of hot dog stands and much more, were analysed both wittily and seriously, as he described it as a ‘radical alternative’ to what people thought about cities and about architecture. The house built in 1922 in what was then quiet, suburban Hollywood by Austrian immigrant architect Rudolph Schindler as a communal residence for himself, his wife Pauline, and another couple Clyde and Marian Chace, was as radical as it gets. Soon after seeing it for the first time Banham described it in Architectural Design as ‘one of the most original and ingenious designs of the present century’. It was highly inventive in its programme, plan, construction and materials, and has even been described by more recently by Kathryn Smith as ‘no less than the first modern house to be built in the world.’ After all, its building pre-dates the great house designs of Le Corbusier, Mies van der Rohe and others in Europe by several years. 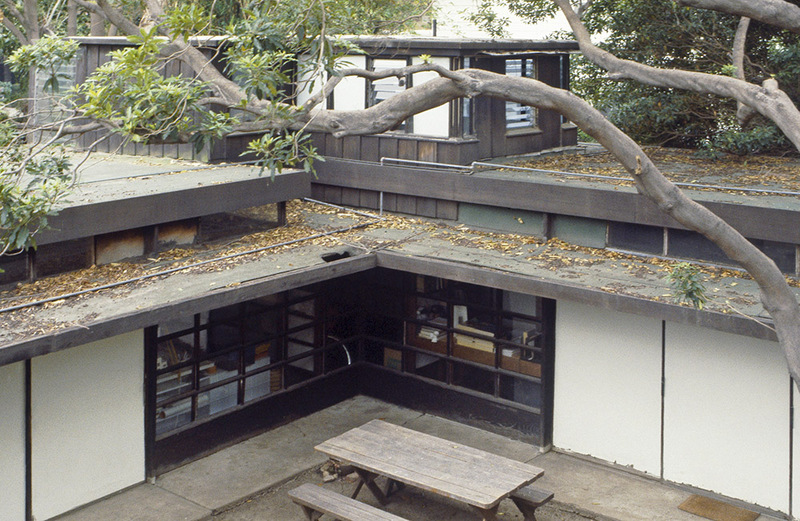 Schindler intended the form of the house to be a metaphor for camping in the wilderness, under the stars: bedrooms were replaced by sleeping porches on the roof. 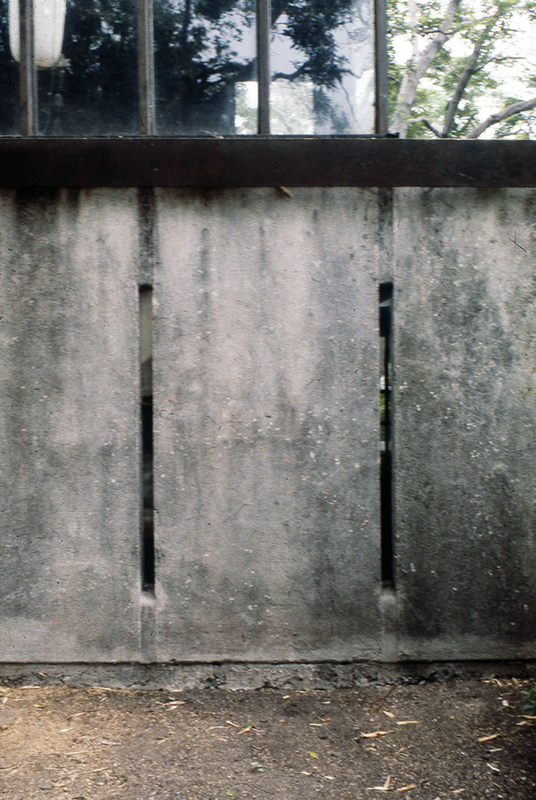 The material of the house, presented minimally and unadorned, was consistent with his key idea of an architecture consisting of wall and ceiling slabs: the floor is a concrete slab with no foundations, while the walls are formed of thin, slightly sloping panels of concrete poured in situ and tilted upwards into place, leaving the impression of the texture of felt inside the moulds. They were separated by narrow gaps, and the walls giving on to the garden are formed of timber, as are the sleeping porches: the studio spaces were originally separated using sliding canvas screens. Schindler’s design evokes the refinement of the Japanese interior, but creates a new kind of dwelling.